Star witness Rick Gates wrapped up his testimony in the bank and tax fraud trial of his former boss, Paul Manafort, but not before defense lawyers attempted to chip away at his credibility by suggesting he had several extramarital affairs while he worked for Manafort. Gates acknowledged Tuesday that he had a relationship with a woman in London that may have been facilitated by money he admitted stealing while working for Manafort’s international political consulting business. Defense attorney Kevin Downing pressed him further Wednesday about his “secret life,” suggesting Gates had four affairs. Prosecutors objected that the information was irrelevant. 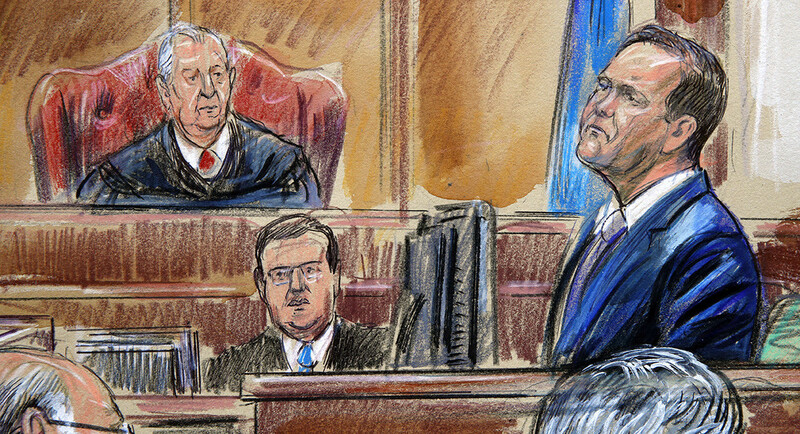 The defense said the questions were fair because Gates, who testified he helped Manafort hide foreign earnings from the IRS, could nullify his plea deal if he gave false testimony.